Need a Doctor? We’re Here for You !! 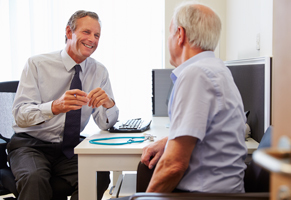 Haynes Medical Centre is an accredited, family GP Practice in Armadale, Western Australia. We operate in an enhanced facility with modern technology to ensure every medical condition - from basic to complex medical conditions, are treated with great care. We bulk bill all 7 days of the week for the convenience of all our patients possessing a valid medicare card. HMC is located 32 km from Perth CBD at 1256, Armadale Road, Armadale in Western Australia which is conveniently located at Shop 1, Haynes Shopping Centre with ample free parking facilities. Copyright © 2019 Haynes Medical Centre. All Rights Reserved. Designed By HITHSA Pty Ltd.